The Blog - Oishii Creative - Dare To InspireOishii Creative – Dare To Inspire | At Oishii Creative we strive to inspire every day. We believe inspiration stirs wonder, curiosity and excitement, and pushes us to see the world in a new way. In creative professions, nothing kills imagination like a juicy ideology. It’s not always easy to recognize ideologies in creative work. That’s because rules and conventional thinking don’t apply to jobs that ask people to run into the frontier of imagination. Creative work is highly personal, idiosyncratic, messy and peppered with gray areas. And yet there are methods and tools to pull forming ideas onto screens, pages, conversations, meetings, and whiteboards. In creative work, and in agencies, in particular, a few big “idea” systems are popular right now. Design thinking, postmodern, neuroscience-driven design are big buzzy ideologies we’ve all come across. Of course, best practices are vital processes for creative work, that isn’t a problem, what company couldn’t use a system to get everyone collaborating and creating together? 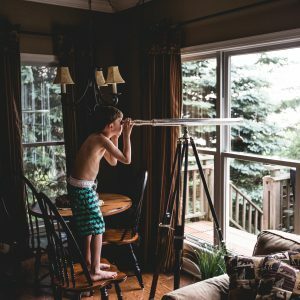 At the heart of design thinking, for example, are kernels of practical truths creatives can use—changing habits in terms of capturing high-quality creative ideas, style, technique or approach. I’m not calling out the icons in creativity, neuroscience, or design thinking. I’m interested in opening up a dialogue about how we adapt and accept tools in creative fields. How we often dismiss our internal mushy hunches and follow convention. How tips or wisdom meant to free our minds become roadblocks. In fact, my aim here is the opposite of criticism, it’s a dialogue. It’s important to question and turn over popular ideas, separate them out from the what’s mere marketing filler. As any creative will tell you, coming up with novel ideas requires flexibility. The best creatives are eager to test out new tools or processes. But we shouldn’t cleave to an idea because everyone in the office loves it unquestionably. Creative work is a high-stakes trade. It’s applied imagination with expectations of a big return on investment. Corporations want creative brand, marketing, products, words, visuals, logo, design, and thinking done on their behalf out in the world. Creativity adds equity, contributes to bottom lines and boosts shareholder confidence. Research shows that creative advertising and content tends to be more effective and memorable than tradition-bound ads. People enjoy and remember what’s novel, strange or delightful. This matters in our crowded public sphere. For on-the-ground creatives the pressure’s on to ideate, produce, perform and scale new aesthetic and experiential heights. I’ve talked to amazing and talented people who describe feelings of dread and excitement with assignments. They feel pressure to run out into the frontiers of what’s possible, making sure consumers or audiences, like, buy, share and circulate. The creative product, they say, must look original, radically inventive and beyond the corners of the assignment with ROI. An ask worthy of an existential sigh. With these expectations, creatives seek out the latest tools, coaches, tips, hacks, models, programs. Anything promising creative empowerment. Lots of strategists and designers come through our offices, and some speak authoritatively and enthusiastically to the disruptive qualities of design techniques, a leader they love or the latest news in design thinking. We listen and politely nod. We don’t judge. We get it. It’s hard to resist cleaving to beliefs we think matter to decision makers. When knowing design best practices and trends can tip the scales in your favor, who wouldn’t want to talk expertly about the new tools in creative and professional worlds? As I listen to talented creatives, the conversations are always smart and interesting. Even if some people stumble on how exactly they’ve applied design thinking or other similar frameworks to projects, I still eagerly listen. After these interviews or talks, my mind goes to Pablo Picasso’s summary of his creative process. “I close my eyes and begin.” Closing the eyes, to me, means turning off the surface layers of brain chatter and venturing into the quieter, unknown parts of the brain. Shutting off ideologies, beliefs and what everyone else is doing. There’s a radical equality in creative professions we overlook. It begins with our interior process. Our imagination, flashes of ideas, hunches, skills we’ve honed transformed into stories, campaigns, plans, buildings, projects, products-you name it. Any tool teaching methods, systems we use can only channel our raw materials. A teacher or tool isn’t creativity. Writer Zadie Smith describes these raw materials as a signature of skill, flexibility, skill and sheer will. When I meet creative colleagues I’m more likely to ask questions along the lines of ‘What books are you reading? What’s your latest piece of technology? What assignment taught you the most about your skill level? What manager/leader inspired you to tweak your skill set? What’s the most important creative fail of your career, so far?’ These questions set the stage for design thinking or any thinking for that matter. In other words, creativity and imagination start with the what’s inside our heads. What’s known, latent and lurking. I think where creative ideologies fail most for people is when they default to what others believe over their own intuition and knowledge. Instead, let’s look inside. What’s our signature creative talent, skill, curiosity, capabilities? This translates into action: What are we reading, doing, experimenting, studying, thinking about? In what ways are our eyes set on stretching our capabilities and frontiers into the new? That’s a creative ideology we should all endorse. Are you yawning, eyes struggling to focus, as you settle down to read this? Or perhaps you’ve just refilled your coffee cup for the third time in an effort to “stay focused.” For many of us, the workday stretches well into the night. Last minute emails sent during dinner, presentations tweaked before bed and early “pre” work-work to jump ahead of the day. If rumors are true, many now disgraced public figures are floating the excuse that it was a lack of sleep and grinding schedules that contributed to their bad behavior. For the rest of us, continuous work cycles carry lots of risks and relatively few rewards. According to sleep researchers, bad decision making in business begins, in part, tended to happen when participants showed poor impulse control or let emotions run wild. Without a good sleep schedule, people make poor decisions, are more irritable and tend to be uncreative and imaginative. It may boost the ego to feel in demand but the quality of work, clarity of mind and decision making suffer when we keep our minds spinning rather than taking rest, float into downtime and sleep. Francis Bacon said, “silence is the sleep that nourishes wisdom” meaning our best selves need regenerative nourishment. Recent studies have confirmed that Americans do not get enough sleep, with more than a third of adults getting less than seven hours a night, which may be just as bad at not sleeping at all. Many bad decisions in negotiations we may very literally be working ourselves to death. Even Arianna Huffington, the queen of productivity, has gotten onboard. Her latest book, “The Sleep Revolution,” touts the benefits of getting more shut eye in order to be more creative, productive, and even happier. 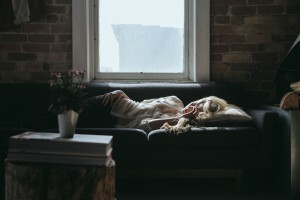 In her 2010 TED Talk, where she advised attendees to “sleep their way to the top,” Huffington tackled the culture of “sleep deprivation one-upmanship” that has led people to brag about how little rest they’re getting and how much they’re doing. We’ve adopted a culture where we struggle to recognize or justify our own value unless we’re in a constant state of being in-demand. When we’re too busy, have too many conflicting deadlines and back-to-back meetings, it’s easy to trick ourselves into believing that just compromising on a few hours of sleep is the best answer. But ongoing sleep deprivation, even losing just a few hours a night, can lead to health risks, lowered creativity, trouble concentrating or even an inability to function through the workday. And, according to the National Sleep Foundation, sleep is something that can’t be caught up on later. What can we do? Powering down all electronics, at least one hour before bed may be our biggest goal. By signaling to your brain that it’s time to relax, it can start the necessary process to prepare for sleep. Having a nightly ritual, like meditation, reading or putting on some extra comfy pajamas, can help ease your mind to make the transition from the busy workday to the world of Morpheus. Creative thinking requires a way out of a cluttered mind. One of the fundamental principles of Buddhism is that the world is constantly in flux, and therefore, each of us is in flux, experiencing constant change. According to Buddhism, by not embracing change and trying to hold on to life around you too tightly, be it the negative or the positive, we bind ourselves to suffering. To accept change is to accept ourselves and those around us as constantly changing creatures, who are not bound to our past failures or successes. While initially frightening, whether or not you follow Buddhist teachings, once you embrace the idea that nothing is permanent, it can be very freeing. You aren’t who you were yesterday when you lost that pitch or even who you were this morning when you felt the stress of a budget meeting. You are only who you are in this moment, and that allows you to let go of your expectations, fears and doubts about yourself and take on new challenges, views and states of mind. And it’s in that new mindstate that’s the key to embracing change. By adopting mindfulness — the practice of watching one’s breath and noticing thoughts and sensations — during your work hours, it can help you reflect upon the evolution of self, embrace it and even thrive from it. But don’t take our word for it. Companies, and even business schools, have embraced the adaptation of mindfulness for success: Google’s created a course on it, while eBay and Twitter both offer meditation areas for its employees. And especially creatives can benefit from mindfulness. Creative work requires a quiet mind, your brain’s neurons quietly humming on autopilot. Tapping into quiet shuts down the chatty parts of your brain, the areas that plan, plot and worry. Whether it’s a walk around the office or an early morning sit down in your living room before anyone gets up, quiet and stillness makes room for ideas, connections and creativity. So, how can we incorporate mindfulness into our already busy schedules? The good news is only a few minutes a day can make an enormous difference. When you’re feeling stressed, whether it’s because of long commutes to and from work, conflict with a coworker or just generally feeling overwhelmed, take a deep breath, relax your body and let go of your thoughts. It sounds deceptively simple, but studies have shown that mindfulness makes us happier, less stressed, more empathetic and more cognitively mobile, increasing memory and helping us think more clearly. And, with 47% of us admitting to spending our waking hours thinking about something other than what we’re doing, a little mindfulness can go a long way. Of course, if you need a little more help, there’s an app for that. Summer is quickly coming to an end. And with friends and colleagues chasing the coming eclipse we’re talking in the office about the importance of vacation, time away from solving complex problems, working toward new solutions, an ordinary day at work. Vacations, while important, are fraught with anxiety. Often times, I think I can’t be away from projects, clients, and deadlines. At the same time, I crave retreat time and the unfolding of my thoughts, habits, and routines, I’m anxious at stepping away from my devices. And I’m not alone. With Americans working more hours than any other industrialized nation, and with research making it clear that all of our overworking isn’t getting us ahead, it’s time to take a look at our work/life balance. As we’ve explored before, creative brains lose focus when they don’t get enough sleep and can greatly benefit from disconnecting. But in an industry where there’s a seemingly never-ending line of projects to finish and deadlines to meet, sometimes, things fall a little off balance. 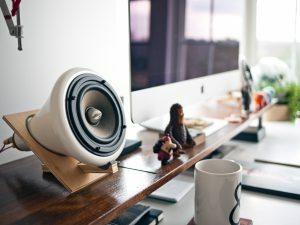 A recent study found that 87% of knowledge workers admit to working more than a typical 40-hour workweek, and 23.4% put in more than 50 hours a week. And 71% of responders admitted that they were unhappy about putting in the extra time. The corporate, and even creative, work cultures have unwittingly created an environment that is literally wearing us down. From mental health to physical ailments and even sick family members, when our well-being is on the line, we must take the time to take care of ourselves (or our loved ones). From exercising and eating right to taking a sick day when we need to, in order to bring balance back to our lives, we need to put our health — and that of our employees — first. We are firm believers that passion projects drive innovation, and encouraging those passion projects for ourselves and our team members allows us all some much needed creative freedom and the ability to take a sanctioned break from our day-to-day. The result, hopefully, is that we’ll all feel re-inspired and reinvigorated. Creative companies tend to lead the corporate pack when it comes to setting examples for prioritizing the importance of “free time. Reclaiming weekends and evening hours makes for happier and more productive employees. It’s simple, and yet many companies still cling to the ethical virtues of round the clock availability. Certainly, emergencies happen, snafus occur, but establishing and maintaining clear signs around peoples’ free time sends a clear message, we can’t lose sight of our or our team’s humanity. 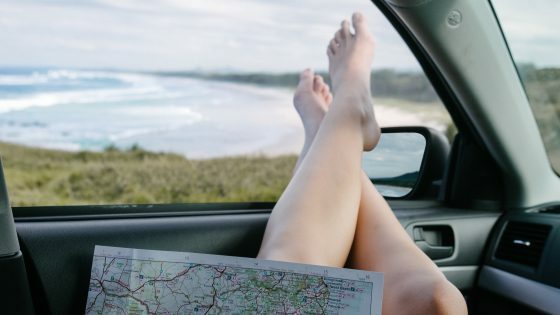 Maybe we can’t all offer unlimited vacation time, and there’s some controversy on whether or not it actually discourages employees from taking time off, but we can make it clear that vacation time is meant to be taken. From working with employees who never seem to use their two weeks, to touting the benefits of travel directly and taking our own vacations, we need to ensure that taking time off is seen as a worthy path to nurturing the creative soul. That’s just a small list of how we can begin to incorporate better work/life balance into our days. How do you or your company encourage better living through less? The Oishii team just finished up an exciting week at Comic-Con! 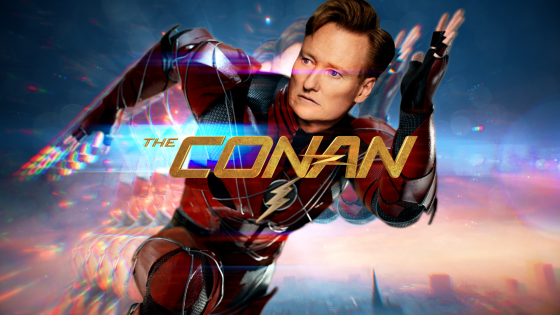 And while work brought us to San Diego for the usually artful cross-promotional programming, costuming and fantasy fetes, (Check out our latest promo done for TBS for Conan and his amazing full week of live #ConanCon) we like the play time too. Like most attendees, there’s more to Comic-Con than cosplay, interactive mise-en-scenes and celebrity hero panels. Comic-Con is an adventure, it’s what can be called play with a purpose. Wait, what? What is play with a purpose you may be asking yourself? We adults, even creative professionals, have lost a strong sense of play in our lives. According to David Whitebread at the University of Cambridge, the traits of playfulness, qualities of mischievousness or curiosity, have played critical roles in human evolution. Along with language, culture, and technology, says Whitebread, play has shaped and honed our problem-solving skills and thinking skills. With every achievement, whether in philosophy, mathematics, art, engineering or economics, people toiled and may have had loads of fun too. In our increasingly complicated world, with distractions everywhere, it’s not hard to see how we might need to tap into our the play in our evolutionary bones. 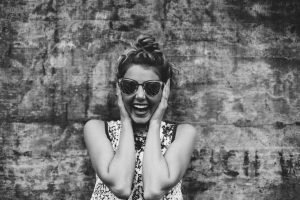 But it’s not so simple; we can’t just frolic around the office, giggle our way through meetings. Play’s got serious social and individual biases to overcome. At the individual level, we adults don’t know how to integrate play into our identities, it wasn’t taught, encouraged beyond playgrounds. There are no “rules” for play on the road to adulthood. In fact, the quintessential mark of adulthood means leaving behind childish qualities of excessive playfulness. Play really drops out of our lives and thinking in our professional ventures. We adults measure must ourselves through the lenses of professional accomplishments and work. Play becomes trivial and without purpose. Play happens on the other side of our packed work schedules, beyond the world of responsibilities. As the work worshiping Victorians liked to say, we earn play through hard work. For us post-industrial workaholic types, play is for those seeking to relive their childhoods. It’s more suited for the whimsical minded millennial types at the Brooklyn adult preschool. But the truth is, we’ve lost sight of play and its dynamics, its role in our survival. We need to develop an integrated and practical sense of play; an altogether new way of thinking that allows us to problem-solve, innovate and dream up novel ideas and solutions. Play can help us tap into our best human selves. In the mid twentieth century, influential pediatrician Benjamin Spock championed for the seriousness of kids’ play. Play for Spock gave kids confidence and skills to climb the ladder of intellectual development. Disguised as fun, kids learned key life lessons for their complicated adult lives. With the help of recent research science, creativity studies and neuroscience, we’re beginning to quantify and understand the workings of the qualities of playfulness. It’s getting close to possible to see and measure the effects of playfulness in our brains. 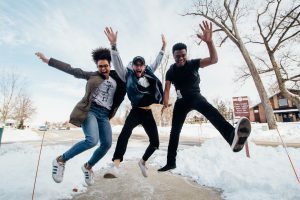 According to a recent German study of 3000 subjects, researchers found that subjects who used the traits of playfulness showed higher levels of performance on a variety of tests than those with less playful traits. 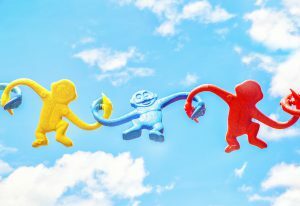 Under the right conditions, a dose of play helped people solve complex problems, find compatible romantic partners and turn monotonous work tasks into interesting ones. While the study represents an emerging field of study, it nonetheless confirms what every fidgety, doodling day dreamer knows: play activates senses and piques awareness. Play is a tool for taking in and sorting information and it helps us process and churn through our brains and bodies. Play starts curiosity which can open up doorways for seeing and observing. Our brains churn and process with play in altogether new ways. That’s play at its most practical and inspiring. This research confirms what many in business see as the foundations of innovation. Companies and leaders are measured in part by ambition and hubris. How far an individual, teams and a company are willing to dream, aspire and stretch themselves. Ambition requires among many traits the qualities playfulness, roguishness, whimsy and a can-do spirit. And play is a good trait as any to give companies the push to innovate or even stop stagnating, gain some competitive space. Take the Microsoft PC hardware business for example. Microsoft has suffered many public failures against innovating behemoth Apple. And while Apple chased mobile products, Microsoft has been quietly letting loose armies of visionaries and design thinking types across its product lines. Surely Microsoft won’t be ready to compete anytime soon, but their investment and fresh if not radical approach hint at what it’s capable of in the future. The idea of playfulness works at a global level too. Aren’t the traits of play, inventiveness and creative thinking part of what the world most admires about America and American entrepreneurialism? Our “creative competitiveness” and ability to innovate across business, in media and entertainment, manufacturing and technology rest on this notion of dreamers restlessly chasing ideas, connecting and innovating and in the process solving the world’s ever increasing complex social and business problems. When Elon Musk waxes poetic of his desire for commercial space travel to Mars, he’s tapping into his strong sense of play for his business but also for the rest of us, his decision to “change the rules of Space travel” is meant to pique our curiosity in our otherwise firmly earth bound lives. Early in the twentieth-century Modern art provocateur Henri Matisse, said, “creative people are curious, flexible, persistent and independent with a tremendous spirit of adventure and a love of play.” Matisse was writing at a time when the modern art world, controlled by traditionalists, rejected his style and techniques as outlandish and a threat to accepted norms in realistic painting. His hunches only reinforce what dynamics playing out in psychology, technology, and business every day. To harness playfulness is to open up the senses, get curious and follow hunches into the unknown. Play shakes up our senses, prompts us to see and ask new questions. Play can reframe our perspectives. So, go out, have some play, dress up and dream big at Comic-Con and beyond! Ah, the professional creative. Is there any other profession that’s as romanticized, misunderstood and yet, pursued and desired? The deadlines are short, the hours are long and the competition is fierce. But most of us wouldn’t change it for the world. There is, after all, a reason we’re so fascinated with creatives. We assume their minds are somehow quicker, more thoughtful and talented than most. But the truth is, it’s a job like any other. And once you monetize creativity, the demand and expectation becomes higher. Something that once was done for the sake of job and artistic validation and reward now comes with a price tag and a set of deliverables. Instead of treating creativity as an art form, we begin treating it like a machine, expecting a certain and consistent output. But you can’t have a computer analyze your new logo and tell you it’s got to be 14% bigger and just a tad more cyan, and you can’t use an algorithm to build a new visual strategy. When that happens, it’s easy to lose sight of why you first got into this industry, whether you’re an individual, overseeing a team or running a company. Here are four tips to help you keep sight of why we love what we do. We’re incredibly proud of our creative work for clients such as NBCU, E! Sprout, Nickelodeon, FOX or NFL Network among others. And while some of us collectively groan at self promotion, there’s value in solid reflection on successful projects, especially if the work stretched teams limitations. It’s often painful to grow into the next stage of creative evolution. And one big lesson has to do with creativity and ourselves, we humans require lots of time, space to reflect on projects, the work and review our limitations. A machine can run on zero sleep, zero fuel and never needs to leave the office, but humans cannot. In order to stay creative, we need to step away. It may seem counterintuitive when you’re facing a big deadline, but if you need to spark an idea, stepping away might be the best solution. Yes, you have THE idea, the award-winning, ground-breaking, studio-launching idea that will change everything… except it would require three times the budget, twice the staff and at least an extra six months, when you’re already down to one. Don’t be discouraged. You still have a great idea, it just might not be the right idea for this project. Or, maybe it needs to face a few challenges to work. Challenges can turn into solutions and make you a stronger creative. When it’s your job to come up with original ideas on a regular basis, it’s easy to fear failure. After all, if you’re being paid to do what you love, it’s easy to slip into the mindset that we’re always just one project away from ruining it. Or, as artist and author Christoph Niemann addresses in his truly inspiring 99u talk, what if “I’m not good enough?” “I’m out of ideas” or “My work is irrelevant and soon I’ll be broke.” Spending time dwelling on the possibilities of failure isn’t going to get you anywhere. Spending time investing in your own creative growth will. It may not be the stuff of Mad Men, but we are still lucky to be in this industry and to be creating. Ultimately, our clients believe in us enough that they hire us for an idea…Can a computer do that? Not yet anyway. When Kevin Roberts recently told Business Insider that gender equality was “over for him” and his advertising agencies, saying “(he)… rarely thinks about the problem,” many commentators howled at his indifference. While ad agency employment data shows women make up about 50% of the industry worker force, there’s rough parity within the ranks; 80% of men at big agencies hold leadership and creative director roles according to research from the 3% Conference. And if 2016 lawsuits filings are any measure of disparity, patterns of abuse seem to be running rampant in some of the world’s biggest agencies with allegations of racial and gender slurs and inappropriate sexual advances. To be fair, ad firms are but microcosms of society, reflecting larger structural patterns of gender discrimination. From technology to the sciences and across media and entertainment, companies are finally striving to do their best at managing the vestiges of gender discrimination, including promoting and keeping female executive talent. So why would Mr. Roberts casually elude this reality and go on to describe women as temperamentally ill-suited for executive leadership positions? The answer doesn’t lie in whether or not sexual discrimination still goes on — it does — but in what this says about Mr. Roberts’ status in the media industry, which is even more troubling than his casual dismissal of social ills. As a “coach” to executive talent and expertise, a mentor such as Mr. Roberts should not believe these things. Or should he? Mr. Roberts, I argue, has fallen victim to futurist fakery. That’s right, fakery. As a society, we’ve become too enthralled with idea leaders. We’re drawn to the men and women who write, blog, teach and educate — crossing the TED stages and traveling the lecture circuits — about the importance of Big Ideas. I’m not suggesting fakers are everywhere. Many of these futuristic insighters bring plenty of real-world context and knowledge to our industry. What I am saying is that while we’ve become accustomed to these educated, talented, and creative men and women to raise our awareness, we’ve let in a few fakers along the way. It’s hard not to. We’re much better informed and well rounded when talented people step out of their labs, classrooms and offices to share with all of us. But we shouldn’t be idea-complacent or even idea trend-driven. While ancient philosophy has taught us to be respectful of thinkers, we should also use our own powers of reason when it comes to idea hucksters. 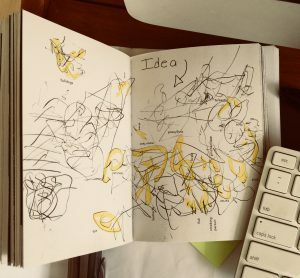 Ideas for the sake of ideas; concepts without connections to everyday and real problems in search of solutions is simply posturing. And that is what Mr. Roberts seems to be doing. He’s bought into his own ideology, projecting that he’s successful in no small part because he “knows” trends and can connect data and information; therefore, he’s putting himself in a position to constantly seek a connection, no matter how far fetched. To give some historical context, I use the term “futurist” as it comes to us from the anti-traditionalist art movement in Italy and the Soviet Union in the early 20th century. 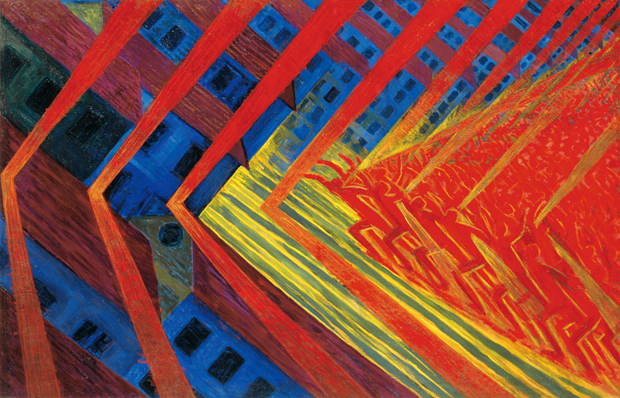 Futurism was committed to rejecting all established art techniques and styles that depicted the “dynamism” of technology, industrialism and automation. Futurism wanted only art that put people in the experience of machinery, the then-future of economic and cultural progress. Because futurism was so thoroughly unforgiving of tradition and history, as a movement it had little depth beyond a love of industrial machinery. What it did have was an unyielding commitment to projecting the idea of progress — a future people see only in art. And as a result, by the 1930s, it had devolved into propaganda art for totalitarian regimes. Unfortunately, Mr. Roberts is the sort of “thought” leader who has adopted the futurist role model for audiences and, in so doing, wiped away any concern for the real, the here and now. What concerns futurists are ideas, trends, disruptions and data points pointing to something… and if they’re not able to back up that something with context or evidence, well, there lies the fakery. But I don’t believe that it’s intentional deception on his part. Mr. Roberts, and many like him, believe they can’t delve into the real-world issues of today as, in their minds, they’ve already crossed over to the other side into tomorrow. Our devotion to the prophecies of industry futurists sets us all up for failure as it’s an unrealistic expectation that thought leaders can consistently think beyond what everyone else can even imagine. Truth is, we’ve grown a bit complacent and perpetuated these sorts of idea leaders and their sometimes misguided or downright ridiculous projections that have no recognizable bearing on our industry. I admit, I’ve been known to pore over “white papers” and beg favors for tickets to hear giants in science and technology speak on the state of blah, blah, blah. I follow every MIT scientist interested in neuroscience and technology. I’ve got a PhD in political science, but I’m obsessed with the behavioral science of decision-making as I am design thinking applied to… anything. So I’m not pointing fingers. I’m saying let’s not delude ourselves. Using Freud’s observation that humans are extraordinarily good at deceiving ourselves, especially when chasing their own ideas, leaders like Mr. Roberts seem all too silly. Let’s not be fakers. Oishii’s Kate Canada Obregon was recently asked to talk about diversity for The Drum News. As you might expect from Oishii, she challenged peers to break creative conceptual bubbles, the safe zones for creating content for audiences. Audiences are tired of safe and simple recycled creative. Whether a creative advertising campaign or brand visual refresh, audiences want new ways of seeing their world. Telling good stories means stepping into the many shades, values and geographies and telling our collective history. We’re not talking art or design that speaks from on high, tucked away in a museum. A successful promo can act as a window into the ways we are bound together under a community, country, politics and culture while giving an unexpected burst of inspiration. Audiences will continue to ignore commercial creative work unless it can satisfy. inspire and sustain. Here’s to crafting the art between story and design, telling poignant and diverse stories for us all. Anyone who’s come to our office knows we value the power and functionality of a well-crafted creative space. From the constant flood of natural light to Ish’s art collection to the eclectic array of found furniture from around the world, we’ve tried to make a space that’s both stimulating yet comfortable and cozy. Renowned London designer Reno Macri knows all too well the science, art and productivity aspects of building the right office for creative teams, and we’re thrilled he’s shared with us some of his latest insights on why office environment can make us better, flexible and creative thinkers. There are many reasons why the design of an office is important, ranging from making a positive impression on clients, to ensuring each of your staff members have sufficient space, to more general office branding strategies. However, one of the most important reasons is the influence design can have on employee behaviour. Indeed, workplace surroundings can impact upon staff members’ productivity, communication, customer service, etiquette and even their attendance. In this blog post, we look at how ideas surrounding design and office space planning can positively change the behaviour of your employees. 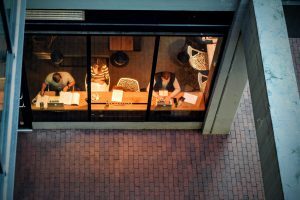 FlexibilityMany businesses make the mistake of opting for either open plan or closed-space offices, depending on how important collaboration and privacy are. Yet, in reality, one of the best ways to improve employee behaviour is to provide an element of choice, because employees’ needs may change over the course of a working day. Collaboration is important, which is why open plan offices have emerged as the dominant design. Yet,research from Steelcasefound that the 11 percent of employees with the best access to workplace privacy were the most satisfied with their surroundings. The solution, therefore, is to provide workers with a design that offers them both. In addition to pure office space planning, the branding of a workplace can influence employee behaviour. Through intelligent use of company logos, slogans, buzzwords and colour schemes, employees can be continuously reminded of who they represent and what their mission is. “Employee behaviour and health are influenced by company culture as well as space design,” says Cyril Parsons, managing director of Office Principles. Through office branding, a business can communicate culture clearly. Finally, in recent times, studies have shown the importance of including natural elements, such as sunlight and plants, into office design. In fact, the Human Spaces Global Report highlights the fact that office workers with access to natural light and greenery have a 13 percent higher level of well-being. Multiple studies have shown a correlation between well-being and productivity, while Human Spaces found that biophilic design also enhances creativity and reduces absenteeism. Reno is a founder and director of a leading exhibition and event company Enigma Visual Solutions, specialising in retail designs, interiors, graphic productions, signage systems, office branding, event branding, exhibition stands design and much more. He specialises in experiential marketing and event productions. He enjoys sharing his thoughts on upcoming marketing ideas and design trends. Feel free to follow him on twitter. Oishii’s Kate Canada Obregon was recently asked to talk about diversity for The Drum News. As you might expect from Oishii, she challenged peers to break creative conceptual bubbles, the safe zones for creating content for audiences. That’s because Diversity demands rich and textured storytelling. Diversity is an ever-expanding story, our collective bundles of history bound together under a geography, country, government and values. Like many stories, diversity contains unexpected twists, turns and has multiple voices. By its very definition diversity, of races, class, religions, genders, experiences don’t simplify neatly into self-satisfying fairy tales. Diversity is a big story, told in bold compelling ways. Americans increasingly look to advertising, media and television with a critical eye when it comes to depictions of us and our lives. No matter how creatively we wrap old stories, audiences want what’s real, varied and different. Here’s to telling better stories.